I discussed on Tuesday how sometimes, a book just won't work for me. I have learned to allow myself to put the book down & pick it up in another format or at a better time. Recently, I've encountered this feeling with two books: "The Buried Giant" by Kazuo Ishiguro and "Fourth of July Creek" by Smith Henderson. If you follow me on Instagram (back when I could still open it on my phone...) you may have seen this beautiful cover make an appearance, For "Fourth of July Creek," I originally tried it in print, and just could not get into it. I returned it to the library and put myself on the holds list for the audio. I finished listening to it a few days ago. While it still wasn't my cup of tea, the audio was definitely the version I needed while running around to wrap up my semester. It's a dark book, about a social worker whose work hits a bit too close to his own life and whose cases take dark, surprising, disturbing turns. Maybe a bit too dark for when the weather is finally starting to warm up and I just want to be outside thinking happy thoughts. I'm glad I returned to it, as I appreciate the story Henderson told and the way he balanced the main character's work and his personal life. Though I might have enjoyed it more if I had given it a bit more time and returned to it in the winter, when I'm more in the mood for darker reads. I mentioned "The Buried Giant" in my pre-spring break post, but in contrast to "Fourth of July Creek," I could not get through it and haven't returned to it. 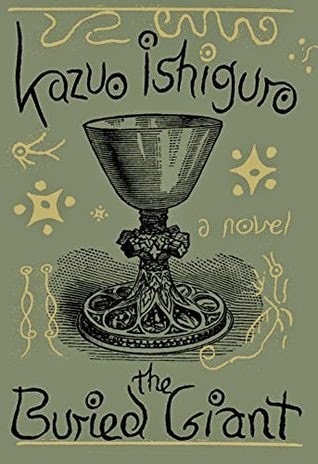 I initially went into this Ishiguro's foray into fantasy blind to the plot, knowing only that Ursula K. LeGuin had criticized his approach, and he had defended it. As I got deeper in though, I started reading reviews to try to figure out what Ishiguro was up to so that I could gain an appreciation for what he was doing. While the reviews discussing his themes of memory and history gave me an insight into the book, it just wasn't hitting the right notes. Axl and Beatrice are an elderly married couple who embark on a journey to visit their son - it's an endearing premise. At least they started out that way. Maybe if Axl hadn't bookended every sentence he spoke to Beatrice with the term of endearment "princess," I would've made it a bit further. That was the last straw that pushed me to put down the book. It's entirely possible I didn't make it far enough to start caring about the characters enough; I stopped on page 87. I plan to return to this book eventually - I respect Ishiguro too much not to - but it'll have to be at a time where I'm ready to let the book wash over me, rather than when I'm looking for something to grip me and pull me in. 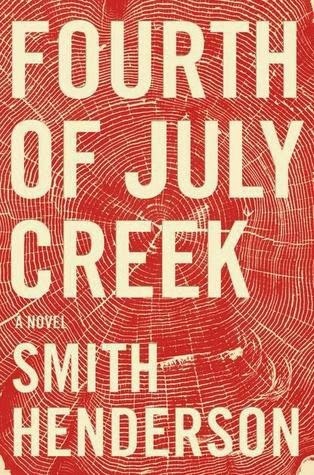 "Fourth of July Creek" by Smith Henderson, audio narration by MacLeod Andrews and Jenna Lamia, published by Harper Audio on Mary 27, 2014. "The Buried Giant" by Kazuo Ishiguro, published by Knopt on March 3, 2015.